The Russian, a Putin ally named Kirill Dmitriev, declined when speaking with ABC News Thursday to confirm Prince's account that the meeting was not arranged in advance. Instead, Dmitriev suggested he had wanted to meet with Prince in order to improve relations between the U.S and Russia. “I cannot comment much more on this meeting— all I can say is that we are meeting hundreds of business people throughout the year and we believe that the goal of restoring U.S.-Russia relations is a good one, it’s a noble one and we want to unite different people who want to restore U.S.-Russia relations,” Dmitriev told ABC News. The under-the-radar Seychelles Island sit-down between Dmitriev and Prince, a well-known military and intelligence contractor who founded Blackwater and whose sister serves as Trump’s Secretary of Education, has raised suspicions that the two were trying to set up a back-channel between the Kremlin and the Trump administration. (Denis Balibouse/Reuters) Kirill Dmitriev, Chief Executive Officer of Russian Direct Investment Fund, attends the World Economic Forum annual meeting in Davos, Switzerland, Jan. 24, 2018. “I didn't fly there to meet any Russian guy,” Prince told the House Permanent Select Committee on Intelligence in November. He testified that he traveled to Seychelles for a meeting with United Arab Emirates officials about possible business opportunities, and they introduced him – unexpectedly – to Dmitriev. Prince testified the encounter occurred “down in the bar” at the suggestion of "one of the brothers" of the United Arab Emirates' leader Crown Prince Mohammed Bin Zayed al-Nayhan. A spokesperson for Prince told ABC News last month that "Erik has said all there is to say to the committee and has nothing further to add." Prince has said that the Seychelles meeting was leaked to the news media in an illegal “unmasking” of his identity. Dmitriev, the CEO of Russia’s Direct Investment Fund, though hedged on whether the meeting was planned in advance. Instead, he said he supports the idea of such encounters. 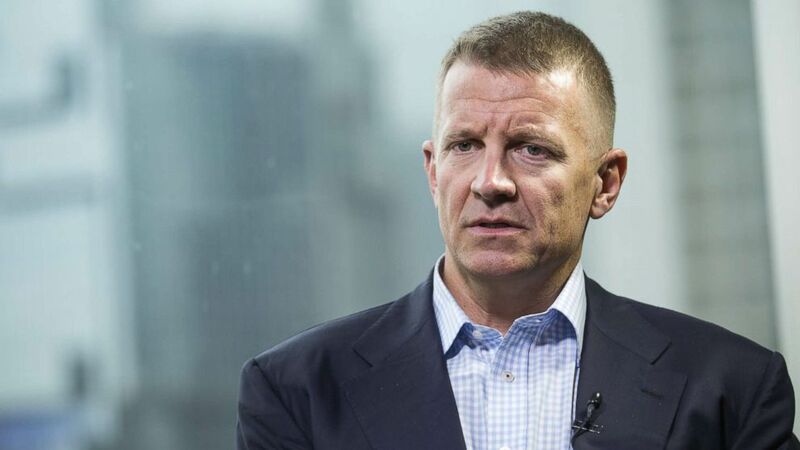 (Justin Chin/Bloomberg via Getty Images) Erik Prince, chairman of Frontier Services Group Ltd., speaks during a Bloomberg Television interview in Hong Kong, China, on March 16, 2017. Dmitriev is an important figure in Russia. 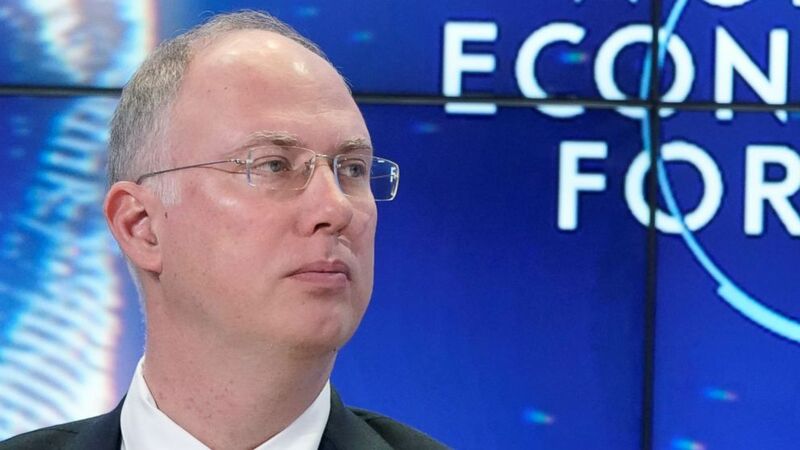 The RDIF that Dmitriev heads is a Russian sovereign wealth fund that manages state investment into key strategic projects and invests the country’s oil wealth for profit. The U.S. sanctioned RDIF in 2014 when it imposed sanctions on Russian entities over the Kremlin’s invasion of Ukraine. In April, the Financial Times reported that Dmitriev has ties to President Vladimir Putin’s family, reporting that his wife is close friends with Putin’s daughter. Last month, sources told ABC News Special Counsel Robert Mueller already obtained evidence calling into question Congressional testimony given Prince. 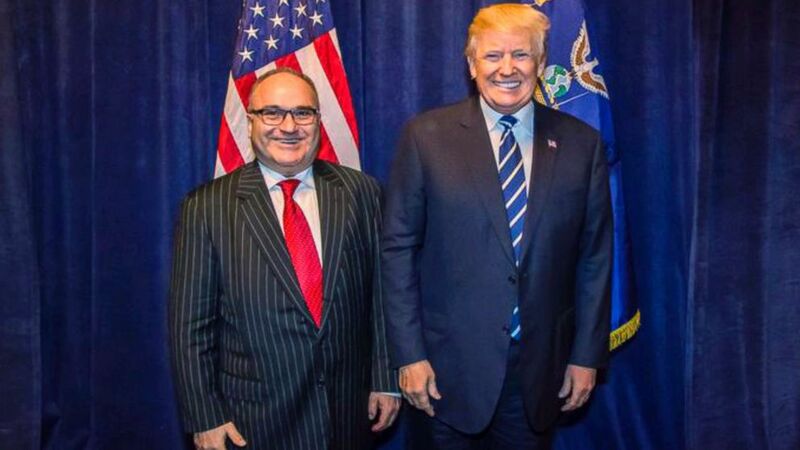 Well-connected Lebanese-American businessman George Nader, a key witness given limited immunity by Mueller, has been interviewed seven times by prosecutors on a wide range of subjects. He told investigators that he set up a meeting in the Seychelles between Prince and Dmitriev mere days before Trump was inaugurated, sources familiar with the investigation said. Documents obtained by Mueller suggest that Prince met Nader in New York a week before the trip to the Seychelles, Nader shared information with Prince about Dmitriev, sources familiar with the investigation told ABC News, which appears to be inconsistent with Prince’s sworn testimony before a U.S. House of Representatives investigative panel. The special counsel's office declined to comment on the question when reached by ABC News. Sources say Nader — who worked at the time for the Emirati leader, known as "MBZ” wanted to bring a Russian close to the Kremlin together with someone Nader believed was a trusted confidant of members of the incoming administration. Nader says he then facilitated and personally attended the meetings, including one between Prince and Dmitriev, at a resort owned by MBZ off the coast of East Africa, the sources told ABC News. One of the primary goals of the meeting, Nader told investigators, was to discuss foreign policy and to establish a line of communication between the Russian government and the incoming Trump administration, sources told ABC News.